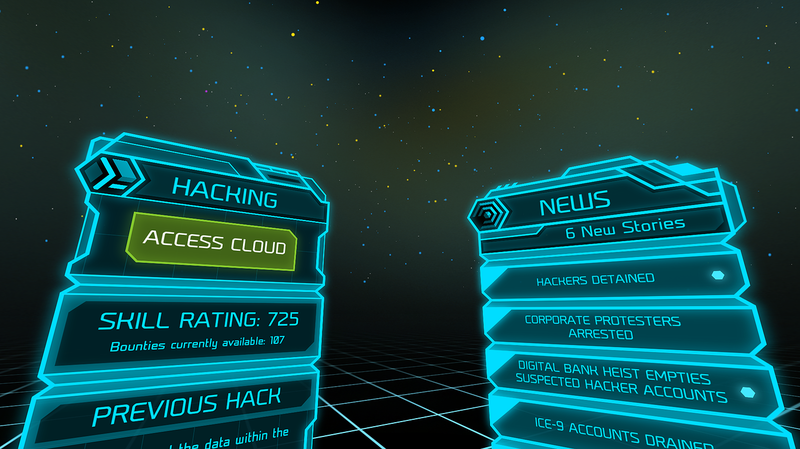 Darknet Preview - Hack the Planet! 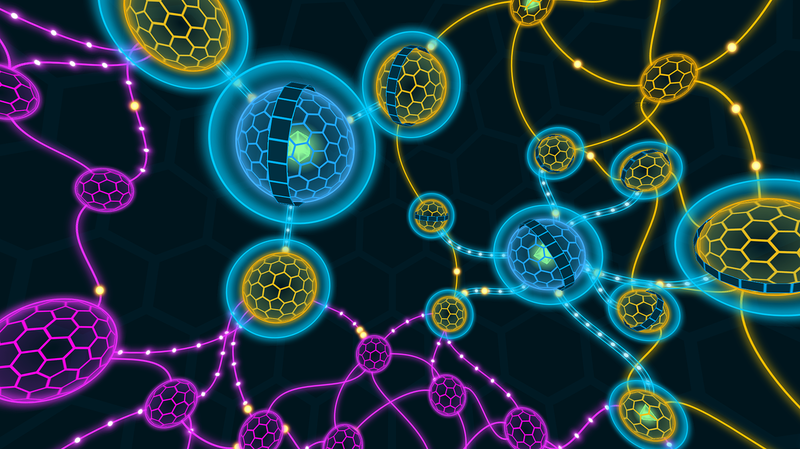 Darknet, from one-man indie designer E. McNeil, brings the over-the-top 90s hacking aesthetic to Gear VR and Oculus as a launch title. When I got an email from E. McNeil asking to book an appointment for Darknet at PAX Prime 2015, it alluded to one of my all-time favorite cheesy 90s movies, Hackers, which made me a little giddy. I've always had fun watching the wild and crazy network hacking visuals; soaring through digital cityscapes of network architecture, looking for a hidden backdoor through the firewall. 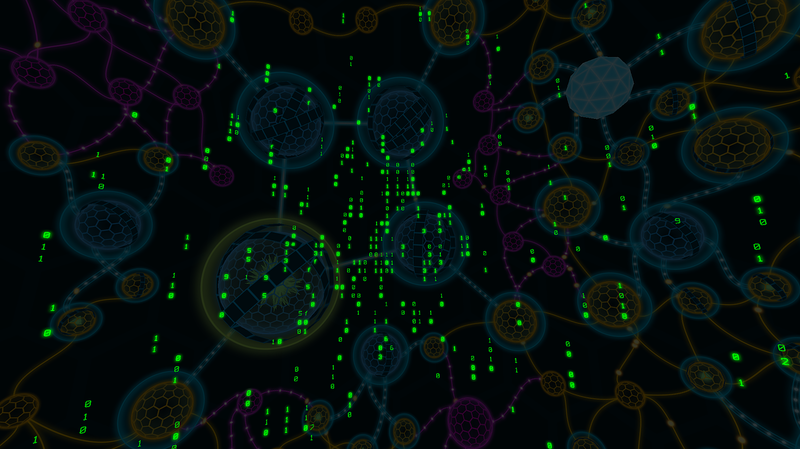 Darknet captures that sort of aesthetic, but throws you into the driver's seat. 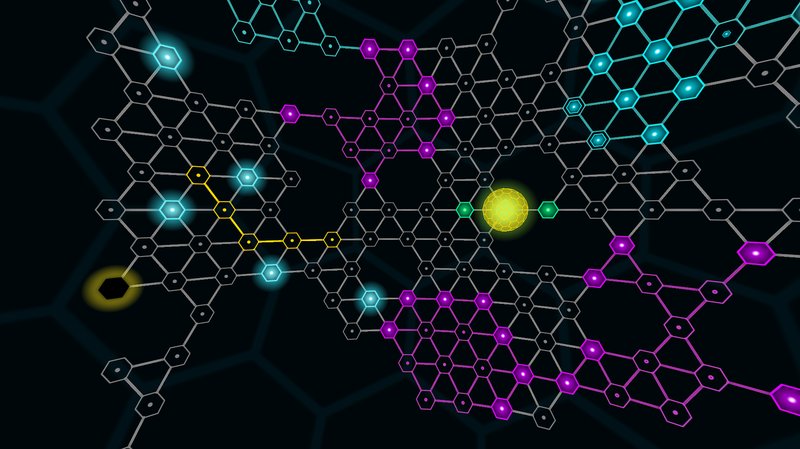 The visuals aren't quite as absurd in Darknet as you might remember from Hackers, but the restricted scope of the navigable areas makes the game's interface dramatically simpler. Instead of moving around a world, you're looking at a web of network nodes, with a central node that you're aiming to reach, and security nodes designed to keep you out. The demo was a dumbed down version of the game, to allow folks to get a feel for the experience in a couple of minutes, instead of expecting them to climb the learning curve. The interface consists entirely of only two things; looking around to find the correct approach to your hack, and tapping a single button on the Gear VR headset to interact. 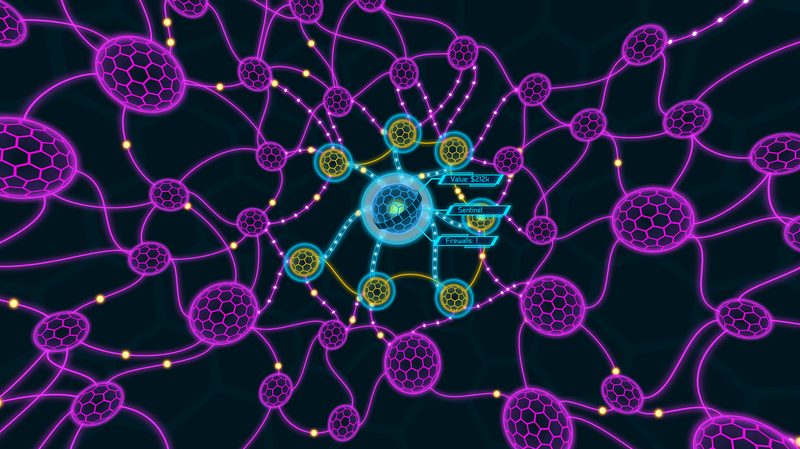 You start with a simple hack, where you push a virus to a node, and watch it spread through the system until it runs into an anti-virus node, which clears your progress. 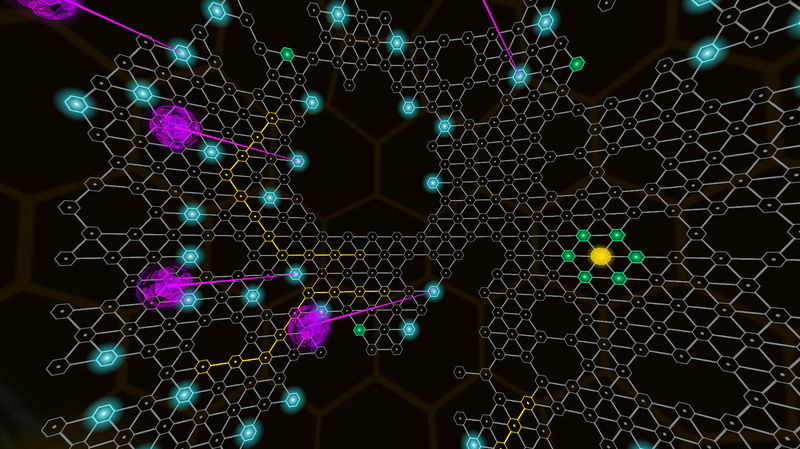 Simply activating your virus on another node puts you through to the next segment, so I didn't get much of a sense of the true strategy of the game, but by McNeil's description, it has levels designed for any skill level, and you're welcome to dive right into the deep end, if you so choose, since the levels are all unlocked at the start. The level progression is designed to train you, the player, rather than skill up a character. I think the player skill development aspect is of particular note here. Recent trends have certainly put more of an emphasis on character progression than developing the player's in-game abilities, so it's interesting to see something designed specifically to teach you, as a player, the skills you need to advance, rather than just boosting character stats. 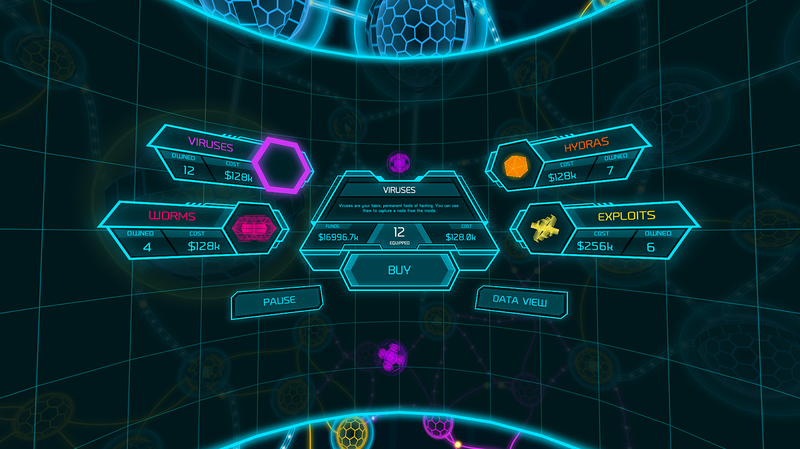 There are four items in the game, which are the hacking tools at your disposal. Each of them has a specific purpose, which will aid you in your hacking endeavors. The basic Virus helps break down the network's defenses, and the Hydra will capture nodes for you, allowing deeper insertion of your malicious code. Exploits and Worms are another way to attack the network defenses, with the Worm doing exactly as it sounds like it should, burrowing through the nodes following an algorithmic travel pattern. You'll have to learn to anticipate its pattern before you'll be able to utilize it to its full extent. Darknet isn't going to be for everybody by any means, but it's one of the first gameplay-focused VR demos I've seen, so VR early adopters would do well to at least check it out. 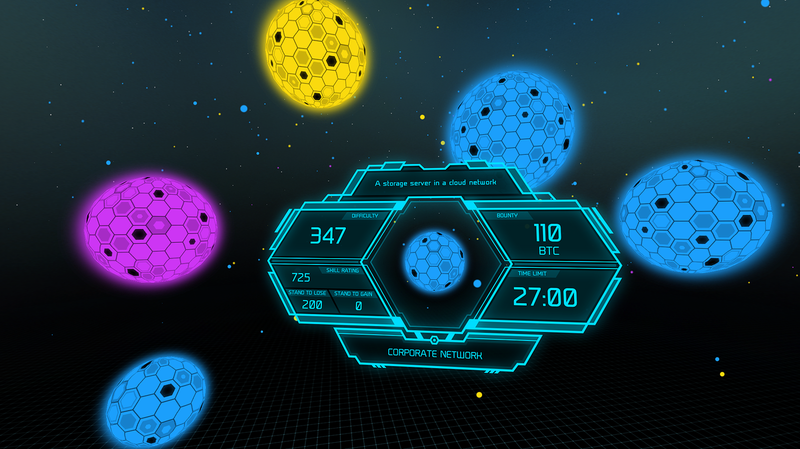 Of course, anybody driven by 90s nostalgia will likely want to play it just for its Hackers-esque aesthetic. 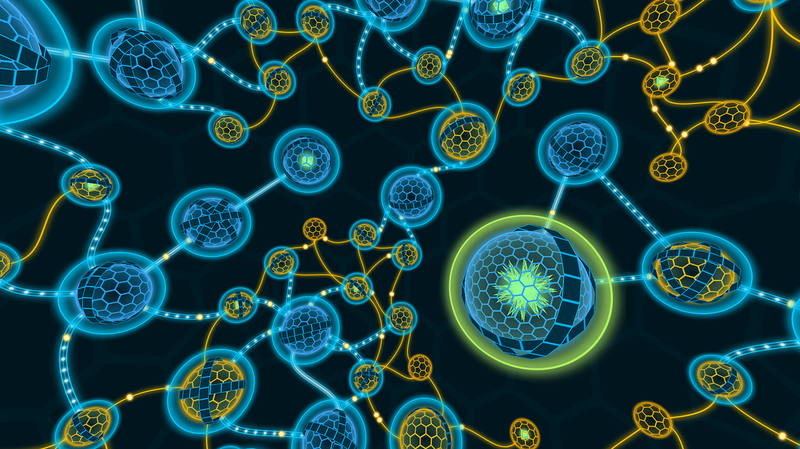 Darknet is available now on Gear VR, and is slated as a launch title for Oculus Rift next year.